away from paved roads, enjoying the outdoors, between forests and mountains and pushing yourself to your personal running limits. that’s what we call trail running! It’s all about being outdoors and recharging your batteries. running on uneven grounds and rough terrain builds not only your endurance but also your coordination and mental concentration. running on trails forces you to use a lot more muscle groups than road running. 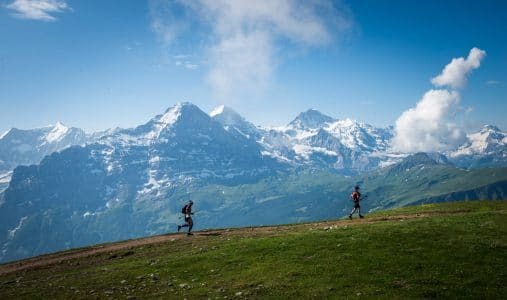 to make the trail running even more fun for you, we the hotel lauberhorn, will help you find the best trails for your ability and will support your passion and your training here in Grindelwald. with the staging points grossk scheidegg, first, berghotel faulhorn, schynige platte, wengen, männlichen, Kleine scheidegg and the traverse under the eiger north wall, the eiger ultra trail offers you spectacle and unique mountain ambiente.